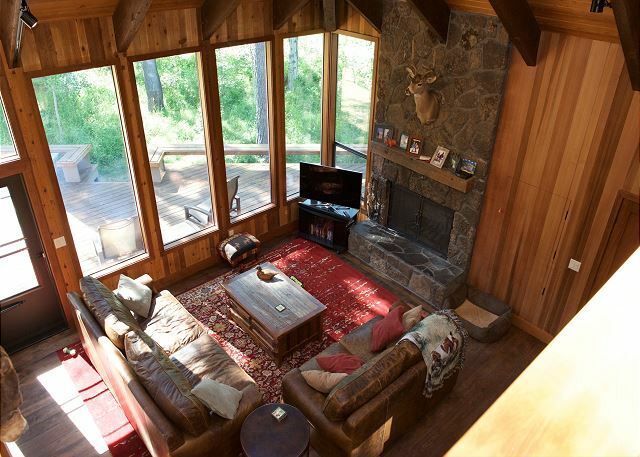 With its unique lodge decor, location and view, Golf home 115 provides the best of the Black Butte Ranch experience. Towering windows frame the 18th tee and the expansive decks are perfect to catch the action as golfers tee off. The home had a complete remodel in 2016 and is now 2828 square feet. The new kitchen features a Wolf Range with griddle, double electric ovens, and a subzero refrigerator. Granite counters, custom cabinets, cork flooring, new lighting, and two huge skylights that brighten the kitchen, while tucked away in a corner is a small table for four. Perfect for coffee, games, or computers. A sliding glass door invites guests to the deck and bar-b-q. The fireplace has new custom gates with inserts that keep the fire where it belongs. The Bar has been redesigned to open the living room and includes a Dish Drawer so that wine and cocktail glasses can be washed right at the bar. And most importantly, a new dining table and chairs that accommodates 10 diners at once. 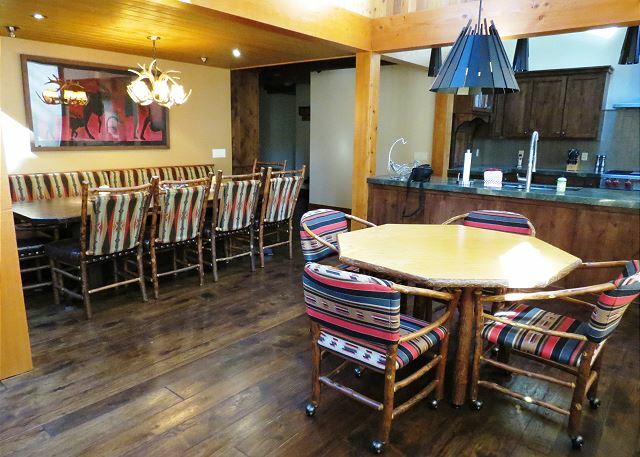 A game table with four chairs is just adjacent to the kitchen and the dining room table. 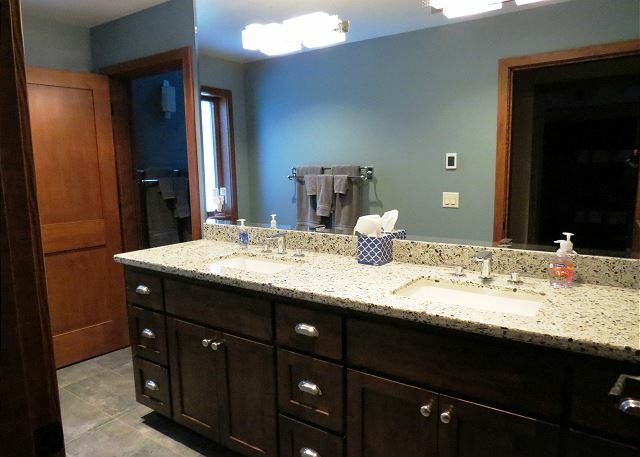 The Master Bathroom has been completely remodeled and includes a large soaking tub, an exquisite shower, double vanity sinks, and plenty of room to unpack. The Master Bedroom sports a California King bed, a large closet, and plenty of storage room for clothes. A second bedroom on the main floor includes a queen bed and custom made dresser along with an updated bathroom just a few steps away. 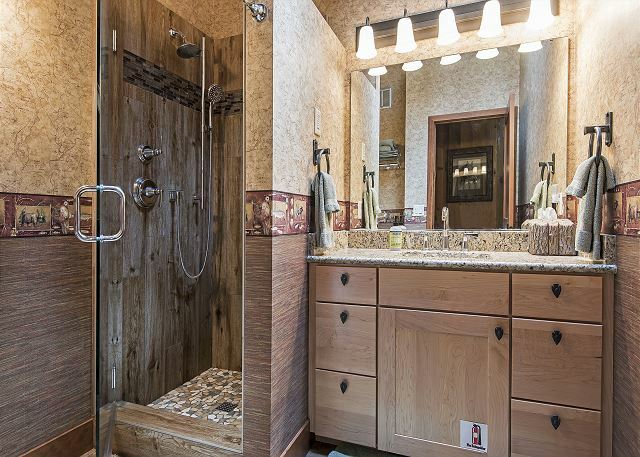 A new family room and bunk-room provide space for four extra long twin beds, a large HD television, room for kids to play and hang out and a new bathroom with double sinks, plenty of towels, and an awesome shower. 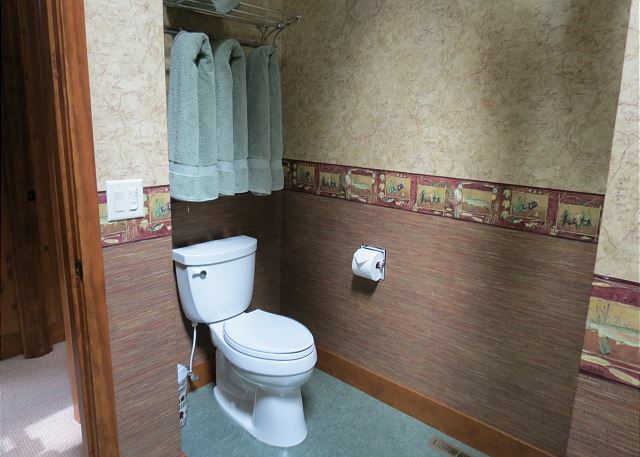 The upstairs bedroom suite has its own bathroom, sitting room, and large new bedroom with a queen bed. A huge two-car garage has been added to accommodate golf clubs, bikes, and other items that guests might want to NOT haul into the house. Wireless Internet can be found throughout the house, and you will find plenty of plugs to accommodate all those Digital Devices. And best of all, it's a short walk to dine or golf at the Big Meadow Restaurant and Golf Shop. Check out the new Lodge Pool and enjoy the Bistro for snacks, drinks, and meals. PLEASE NOTE: DURING JULY AND AUGUST there is a 7 night minimum on most properties plus a specific turn day, which is Saturday for this home. If you wish to deviate from the schedule or are having difficulty booking on-line, please call Black Butte Realty Group Property Management, formerly Howells at eight eight eight seven six two seven seven six three. Happy to hear you enjoyed your stay at GH-115! Thank you so much for booking with Howells. Hope to see you again! Fabulous week! Beautiful house with every amenity.Most definitely the most amazing house we have ever stayed in at Black Butte Ranch. We have stayed at this home one week each July for the past ten years. It had a major remodel three years ago. 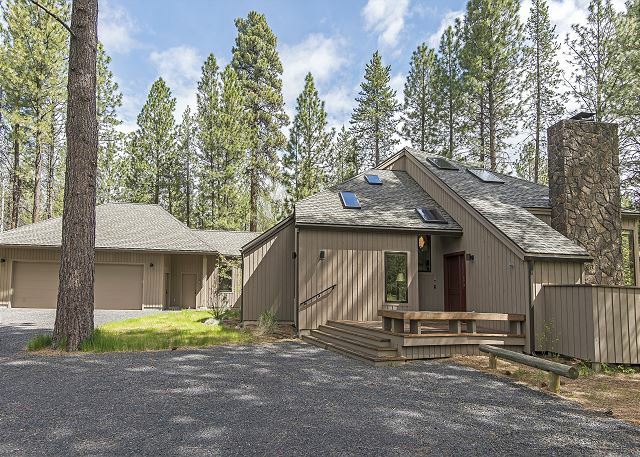 Our family has certainly enjoyed our retreats at this home as it has everything that one would want or need to enjoy Central Oregon at its finest. It is quiet and private, yet on the 18th tee box and sits amongst the beautiful Aspen trees. It is close to all of the amenities that the Ranch has to offer....golfing, swimming, bike riding, walking and even eating at Robert's Pub or the new Lodge Bistro. We love this home and the Ranch!! Howell's Realty Group does a great job of taking care of their properties too. Wonderful! I did not realize we had stayed in this house before! My grandson found the page I had written in the journal for visitors! My grandchildren were 11 and 9 at that time. They are now 19 and 17. They must have remodeled as we did not recognize it. My daughter-in-law thought we had, but she was the only one. It is a great house, stocked so well with everything. Looked like new appliances. Bathrooms are really beautiful. Deck is private and really large All the bedrooms are so comfortable. Great to have a bath for each one. And great to have 2 washers and dryers! We think it is the best we have rented. Our vacation couldn’t have been improved! Thanks to Howells and to people who were so gracious to share their home! 1980 best equipped house we have stayed in. This house was really beautiful. 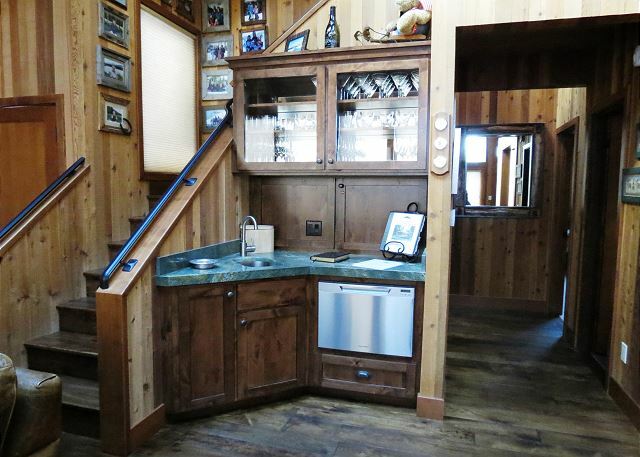 It had everything you could possibly need, especially in the well equipped kitchen. Everything was sparkling clean and fresh. The beds were comfy, as was the sitting area, and the rocker chairs on the deck. The location was perfect, a short walk or ride to the lodge pool and bistro or Big Meadow pub. Our stay was every relaxing and enjoyable. Over the top in terms of amenities and gracious entertaining areas for 2 large families.